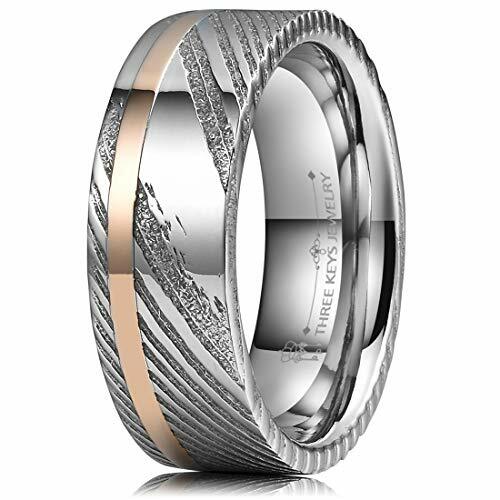 Our damascus steel rings are most suitable substitute of white gold and platinum as the perfect wedding band ring, excellent daily wearing, wedding, engagement and anniversary gift for men and women. Damascus steel/Mokume Gane is an ancient art form that produces beautifully crafted rings. This handcrafted exquisite ring comes in a unique wood grain bold hand forged & rose gold offset inlay illustrating low-key luxury - no two rings are the same! Hours and hours were put into this craft, all visible in each ring's design.